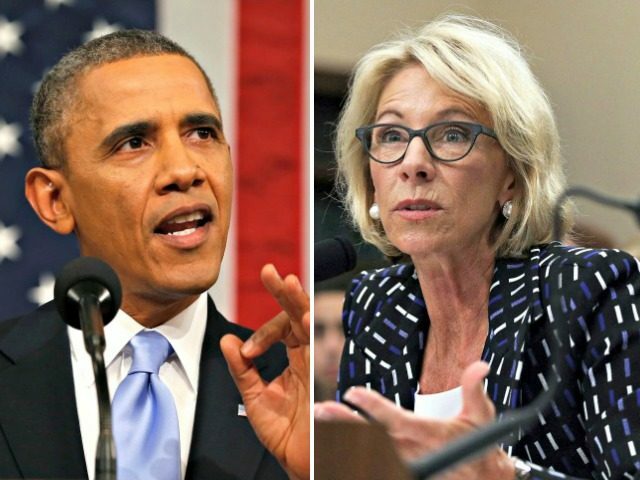 The Trump administration has named several Obama-era education officials who have been working at the U.S. Education Department to new posts in the Federal Student Aid Office (FSA). Politico reports the appointment of Jeff Appel was announced in an “internal email obtained” by the media outlet. The email was reportedly sent to department staff by acting head of FSA James Manning, a longstanding education department employee who, as Inside Higher Ed observed, goes as far back as the Carter administration. In January, U.S. Education Secretary Betsy DeVos announced that Manning would take on the top post at FSA. Appel first joined the department in 2011 and served as deputy undersecretary of education during the Obama administration. He will now serve as FSA’s director of policy liaison and implementation in the Trump administration’s education department. Also in January, the federal education department announced that Kathleen Smith would become deputy chief operating officer of FSA. Smith served as chief of staff at the department’s Office of Postsecondary Education (OPE) during the Obama era from 2009-2013. Marianna O’Brien will also be serving as FSA’s chief of staff, Politico reports. From 2013 to 2015, O’Brien served as executive director of the College Board, which is led by David Coleman, the so-called “architect” of the Common Core State Standards. The College Board also realigned the SAT exam to Common Core, and recently revised the Advanced Placement U.S. History and Advanced Placement European History frameworks. Keith Wilson will move from his post of chief information officer at FSA to become a senior adviser in business operations. Wilson formerly served as director of education services in the Obama-era Veterans Administration under Secretary Eric Shinseki. The reshuffling of employees is part of other “organizational changes” the education department says it is making.